As part of Programmers’ Day celebration this year, Azoft web developers decided to surprise our fellow Azoft employees with a competition. 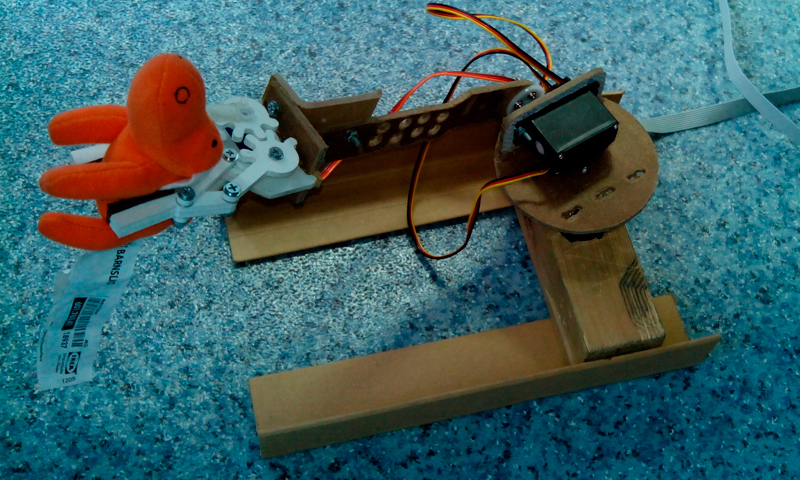 To try something new and unusual, we created an internet-controlled robotic arm. This was our first experience with robotics and it turned out a success. The robotic arm competition was lots of fun for everyone involved, so we decided to share our experience and post this robotics tutorial to give you a fast start into building robots for your own geek parties. Our robotic arm is controlled via a web interface: it responds to remote commands and performs simple tasks. The scheme was the following: everyone working at Azoft company received an invitation to a web page from which they could control the robot remotely, try to perform a task, and watch their efforts and results through a web camera. The tasks could vary: from drawing lots in a lottery to grabbing objects and collecting them in a basket — it’s up to your imagination. In our case, the goal was to grab a small object, move it to a different location, and drop into a container. Whoever collects the most objects within a small time frame wins. Sounds simple, but in practice it wasn’t as easy as you may think. Have you decided what your robot will be doing? Good, now let’s turn to the implementation. 0. 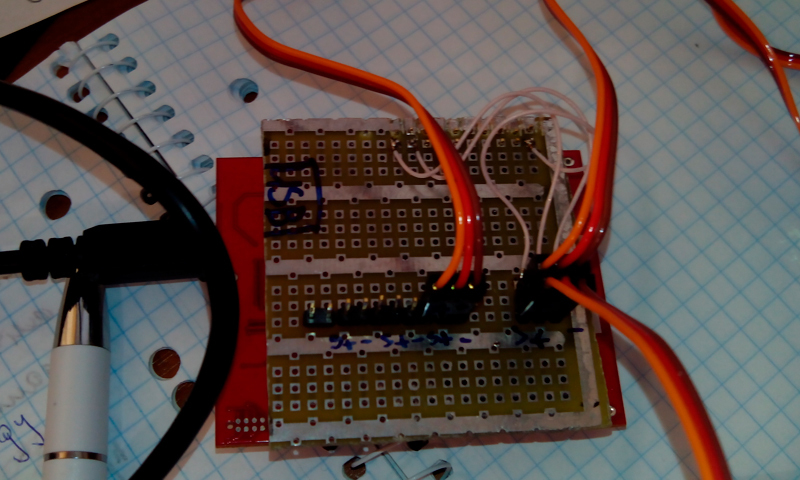 Material stage: Order servos and the microcontroller. 1. 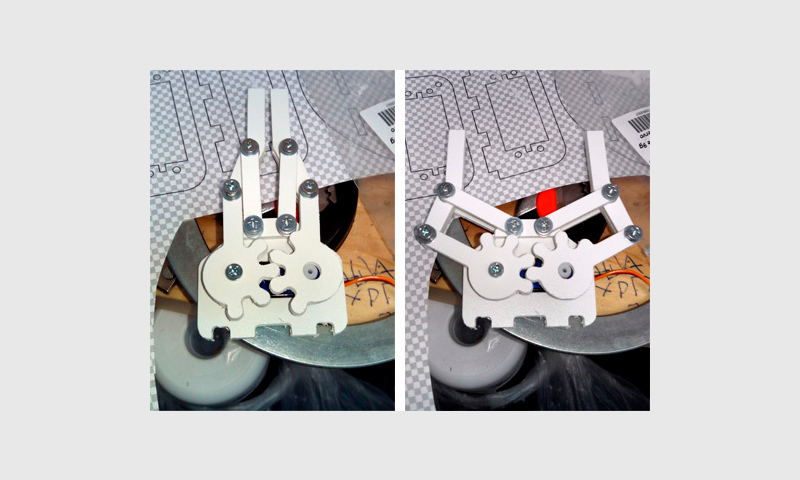 Hardware / Building stage: Construct the robot. 2. Software / Programming stage: Write and test the robot-side and server-side code. 3. Test stage: Test before the party starts. Getting hold of all the necessary parts can take quite some time, since your nearest shop might not carry all the items you need. That’s why I recommend finding and ordering all the materials on ebay.com or aliexpress.com ahead of time. Besides, it’s hard to find everything you need in one online store, so you’ll have to browse several websites. There are various online retailers out there, depending on where in the world you’re located. In our case, we ordered the parts on devicter.ru and hobbymarket.ru. Once you've got all the necessary materials, you can start assembling the main device - the hand. We tried to build it from MDF at first but the prototype didn't survive the crash test. Our second try — from PVC — was a success. The software part was done with Energia IDE. At first, we programmed the hand to be able to move to 5 degrees from the original location. Later, we decided that the hand should receive position values and move to that location immediately. There are tons of instruments to track bugs and find out where and what has gone wrong. For example, you could use the log file. RubyOnRails would reflect the debugging info automatically. Besides, you could add your own comments into the log file right from the code through the Ruby logger class. After we have tested both mechanics and electronics only one thing was left to be done — the server side. Since the stages before were pretty simple, I didn’t share any code samples (but feel free to contact me and ask for the code, if needed). But the server side was really tough, so I'll share our solution. return render_need_email if ldap_user[:email].nil? and user.email.nil? user.email = ldap_user[:email] unless ldap_user[:email].nil? return do_respond :wrong_credentials if user.nil? @ldap_user[:first_name] = entry[:givenname] unless entry[:givenname].nil? and entry[:givenname].nil? @ldap_user[:last_name] = entry[:sn] unless entry[:sn].nil? and entry[:sn].nil? @ldap_user[:email] = entry[:mail] unless entry[:mail].nil? and entry[:mail].nil? helper_method :current_user, :signed_in?, :is_admin?, :its_time? Once the programmable robot arm was built and the code written, we moved on to testing. Ruby debugger allows us to stop the code execution anytime, fix the error, and then continue. From console you can check the domain, make changes and save them to a database. On September 13th (the day of our Programmers’ Day party) our robot faced the challenge of more than 40 runs. It broke down once, but was quickly fixed within a couple of minutes, so that small accident didn't spoil the fun. We wish you an easy start in your robotics adventures. Good luck and have fun!